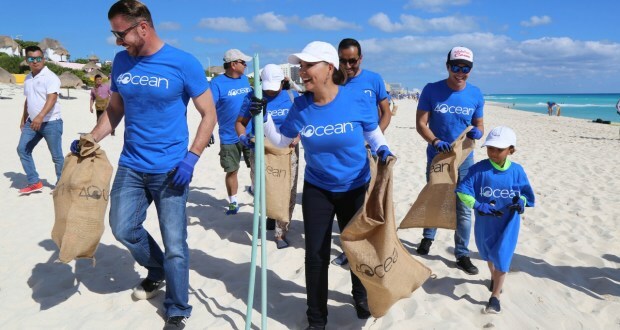 Ocean cleaning brigade doing positive work in Cancun. “The work carried out by the “Zona Federal Maritima Terrestre” (Zofemat) for the conservation of the clean and healthy beaches of Cancun, is summarized in successful results so far this year”, assured the Municipal President of Benito Juárez Mara Lezama. The First Authority in the municipality highlighted that the cleaning brigades of public beaches are carried out in two shifts seven days a week, through collaboration with workers of the Municipal Public Services and Zofemat, which collect and separate around one thousand kilograms of solid waste from the sandy areas daily.